Nowadays, a lot of people choose UPVC door lock installation for their domestic and business properties because these doors are more secure, durable, and affordable than traditional wooden doors. However, UPVC doors cannot do their job without effective locks. These doors with weak, damaged, or faulty locks can be opened easily by criminals. In addition, if you do not have high-quality locks, you may need to repair or replace them frequently. UPVC doors contain latches mechanism multipoint locks which have many parts to them including a deadbolt, a latch (live bolt), hook bolts, and may also contain compression bolts. These doors also provide a weather-proof seal. It is highly recommended to install effective locks on UPVC doors. However, it is not advisable to use DIY methods, because this job needs special knowledge, experience and proper tools. 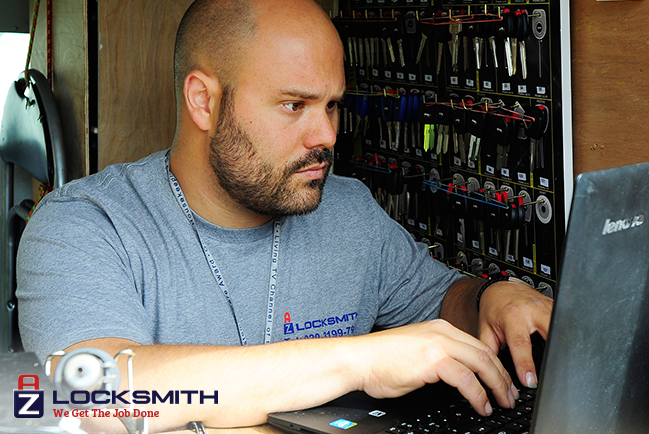 In order to avoid potential damage to your doors, it is advisable to contact a professional locksmith for help. You can contact AZ Locksmith proficient technicians, who are specially trained to handle UPVC door security issues quickly and accurately. They have years of experience in working with many types of UPVC door lock mechanisms. We offer the most competitive prices in our service area, with fixed rates and no hidden fees. Our security experts can install a wide range of UPVC door locks, including Multipoint and other locks for UPVC doors. Our technicians are equipped with top-notch tools and products to address your needs efficiently and accurately. In addition, after installing a lock on your UPVC door, you will get a 1-year warranty on service and products.